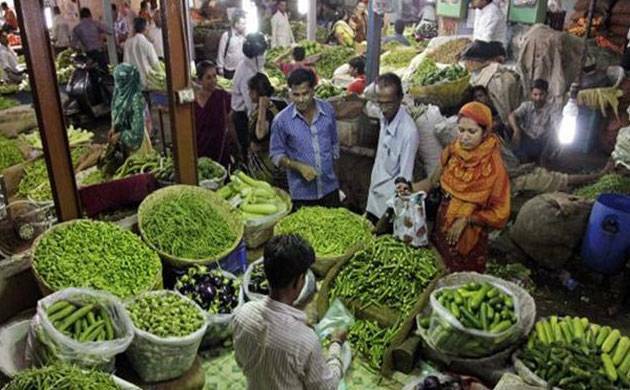 India's retail inflation eased to a low of to 2.18% in May as prices of kitchen staples like vegetables and pulses declined sharply although there was a marginal spike in fruit rates, according to government data released on Monday. Clothing, housing, fuel and light also saw lower inflation. Industrial production grew by 3.1% in April against 6.5% expansion in the same month last year. India's core consumer price inflation, which excludes food and energy prices, eased to around 4.2% in May from around 4.4-4.5% in April. Consumer prices rose 2.99% on year in April. Retail food prices fell 1.05% last month from a year ago, compared with a 0.61% gain in April. Prices of vegetables declined by 13.44 per cent and that of pulses and products by 19.45 per cent.